Robert De Niro defends anti-vax documentary, parrots long-debunked claims. 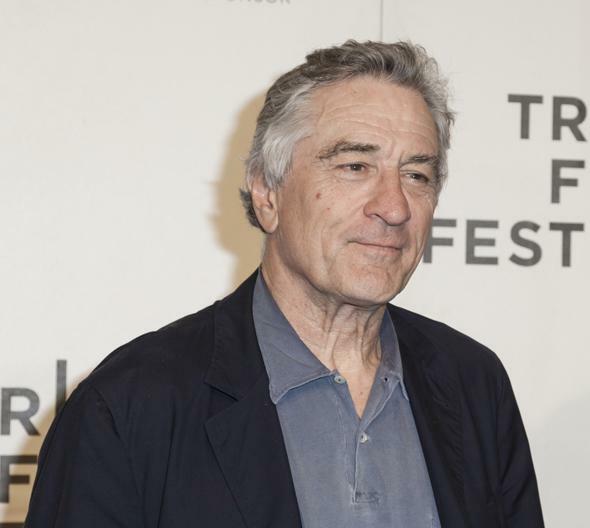 Rober De Niro at the 2013 Tribeca Film Festival. In late March, the Tribeca Film Festival announced it was pulling a “documentary” from their lineup. The film, called Vaxxed: From Cover-Up to Catastrophe, was a clear piece of propaganda designed to bolster anti-vaccination nonsense. The trailer is loaded with easily debunked claims, and the producer, Andrew Wakefield, is the founder of the modern anti-vax movement. Not so incidentally, the paper he authored linking vaccines and autism was retracted, he also lost his medical license for acting unethically (really, really unethically), had a huge conflict of interest in his aim to cast doubt on the measles-mumps-rubella (MMR) vaccine, and has been accused of fraud by the British Medical Journal. It’s very, very clear this film was going to just be more of the same tired arguments made by anti-vaxxers who rail in the face of reality. Tribeca is run in part by actor Robert De Niro, and the film got in the lineup due to De Niro’s influence. He has a child with autism and wanted an open discussion of it. On Wednesday, he and Tribeca co-founder Jane Rosenthal appeared on The Today Show to talk about the festival and Vaxxed. In my original article about this I praised De Niro for pulling the film. I now rescind that praise. At the time, he said, “But after reviewing [the film] over the past few days with the Tribeca Film Festival team and others from the scientific community, we do not believe it contributes to or furthers the discussion I had hoped for.” You can watch the video here; the discussion about vaccines starts at 2:15. But for some reason he has completely backtracked on this. In this more recent interview he parrots quite a few false anti-vax claims and phrases, and clearly buys into the movement’s falsehoods. What he’s talking about is the alleged “whistleblower” who claimed the Centers for Disease Control and Prevention was lying about research into a connection between autism and vaccines. However, that’s been widely debunked. Interestingly, although the trailer of Vaxxed heavily features this conspiracy theory, the whistleblower reportedly isn’t even in the film. This is an old chestnut. Jenny McCarthy claims she’s not anti-vax either, and just wants safe vaccines, but then dives right into making false claims about vaccines. But the thing is, if you do that, you’re an anti-vaxxer. Wow. First, there’s no link at all between thimerosal and autism. Second, anti-vaxxers confuse (willfully or otherwise) different mercury compounds: Methylmercury, which can build up in your system and is dangerous, and ethylmercury, which does not build up and is excreted rapidly from the body. Thimerosal is the latter. Also, thimerosal isn’t used in any children’s vaccines anymore and hasn’t been for quite some time. It’s used in some flu vaccines, and that’s it. De Niro mentioning this shows that he hasn’t done any real research into this problem. It sounds to me like he watched Vaxxed and maybe read a few anti-vax sites but hasn’t looked into the real scientific research on this. This is sadly very common; people hear a claim and type it into Google, and of course get links to sites supporting that claim. They don’t usually see ones that don’t (though recently Google has made some changes to make it much easier to find the real story). But the investigating has been done. Over and again. And every time, when the studies are done properly, the results are the same: Autism isn’t linked to vaccines. Again, this shows De Niro hasn’t done his due diligence here. I’m greatly saddened by De Niro’s responses. I know he’s not a doctor or a scientist, but he’s in a position where what he says carries weight; after all, by choosing to include Vaxxed in the first place “to start a conversation” he was already influencing events. Like it or not, celebrities have influence, because their voices get heard. And his voice is given more weight because of his rightfully respected career and the fact that he is the parent of an autistic child. I’m very sympathetic to this, but you have to be careful here. Being a parent doesn’t mean you know the medical research; my wife and I are parents, and we educated ourselves first by talking to doctors as well as reading trusted sources and medical literature before deciding that we all should get our vaccines. And we have; our whole family is fully up-to-date on our vaccinations. The anti-vaccination movement is dangerous. They are wrong in their claims, and the result is that we are seeing vaccine-preventable diseases making a roaring comeback. As one example, measles was eradicated in the U.S., but it came back in part due to low vaccinations rates. Other examples are sadly all too easy to find. That’s why I continue to write about this. People get sick, and some die, due to entirely preventable illnesses. Many of these people are babies, the elderly, and immunocompromised. When you skip getting vaccinated, it’s not just yourself or your immediate family you put at risk. It’s everyone you come into contact with, anyone who might pick it up and/or give it to someone else who may be vulnerable to it. I have a family member who is immunocompromised, so I take this very, very seriously. I hope Mr. De Niro does continue to look into this, and get the actual facts. Because the information he’s getting from Wakefield, from Vaxxed, and the other sources he mentioned is wrong. Very dangerously wrong. Read more from Slate about vaccines. *Update, April 14, 2016, at 10:40 a.m.: An embedded video that autoplayed De Niro’s interview with The Today Show has been removed, and this post has been updated accordingly.